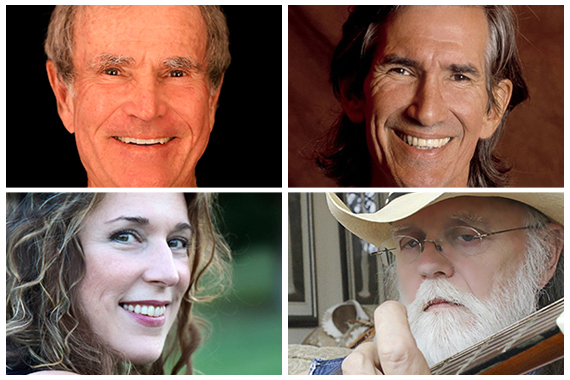 The Nashville Songwriters Hall of Fame has announced Townes Van Zandt, Bob Morrison, Aaron Barker, and Beth Nielsen Chapman will be inducted as its newest members. The four new members will join the current 199 existing members of the Nashville Songwriters Hall of Fame when they are inducted during the 46th annual Nashville Songwriters Hall of Fame Gala, slated for Oct. 9 at Nashville’s Music City Center. Texas native Van Zandt took up his folk music career in 1965. By 1968, his music had been heard by Mickey Newbury, who brought him to Nashville. A lengthy list of critically acclaimed songs followed, including “No Place To Fall,” “To Live Is To Fly,” and others. He died on Jan. 1, 1997 at age 52. In 2012, he was inducted into the Texas Songwriters Hall of Fame. Mississippi native Morrison began writing songs while studying nuclear engineering at Mississippi State University. In 1973, Morrison moved to Nashville and signed with Combine Music. In 1980, he garnered a Best Country Song Grammy honor for “You Decorated My Life,” recorded by Kenny Rogers. That same year, the film Urban Cowboy featured two Morrison songs, including “Lookin’ For Love,” recorded by Johnny Lee and “Love The World Away,” recorded by Kenny Rogers. Morrison earned other cuts including “You’re The One” (The Oak Ridge Boys), “Don’t Call Him A Cowboy” (Conway Twitty), and Tonight The Heartache’s On Me” (The Dixie Chicks). Morrison was named ASCAP’s Country Songwriter of the Year in 1978, and 1980-1982. He was also named NSAI’s Songwriter of the Year in 1980. Barker honed his musical abilities during his nearly two decades performing in a band that played military bases and public events. His first attempt at songwriting, titled “Baby Blue,” became a No. 1 hit for George Strait. “Baby Blue” was the genesis of a string of hits for Strait, including “Love Without End, Amen,” “Easy Come, Easy Go,” “I Can Still Make Cheyenne,” and more. Barker also penned and recorded many radio and television commercials for the Blue Bell Ice Cream Company, including “Have Yourself A Blue Bell Country Day,” and “The Good Ol’ Days.” He was inducted into the Texas Songwriters Hall of Fame in 2007. Beth Nielsen Chapman spent the majority of her childhood growing up on military bases from New England to Germany. She signed her first song contract in 1979, followed by the recording of her debut solo LP in 1980. She moved to Nashville in 1985 and found work as a session singer. She would go on to pen songs including “Down On My Knees,” recorded by Trisha Yearwood, “Five Minutes,” (Lorrie Morgan), “Here We Are” (Alabama), “This Kiss,” (Faith Hill) and more. “This Kiss” earned the 1999 Song of the Year honor from both ASCAP and the CMA.